There are several factors to consider every time you make an investment, but one of the most important is volatility. Investors should always weigh the risk of an investment with the potential for profit to determine whether the financial move is right for them. Those in search of a non-volatile investment opportunity often gravitate towards precious timber. After all, timber is a tangible resource with an inherent and practical value. Plus, it is required for building and infrastructure around the world, and it won't be tied to any one nation or any one currency. To mitigate risk in your financial portfolio or investigate less risky options, discover the value of timber. A major reason that timber has an inherently lower volatility than other investments is because it is a tangible, practical item. In order to build houses and construct bridges, wood is necessary. Although value can theoretically decrease or vary over time, it will almost certainly retain an inherent appeal to everyone from construction professionals to civil engineers to furniture makers. Unlike some other synthetic materials, timber will never go out of vogue or be entirely replaced by an alternative. Timber's volatility levels are also so low because the population of the world is growing so rapidly. As the population increases, particularly in developing nations, the need for natural resources like wood also rises. Barring a major and unpredictable change in population patterns over centuries, growth will continue to occur in the future. As a result, wood will continue to be in demand. These factors ensure long-term demand, reducing the risks involved with investing in precious timber. Timber can only grow at a certain rate, which means that trees have to be harvested after several years of maintenance and growth. This naturally limits the supply of timber available on the market at any one time. 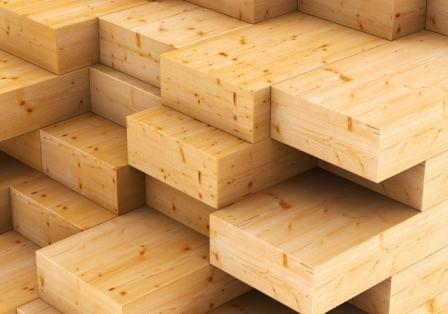 Since there is no risk of the market being flooded by a surprisingly large supply of timber, investors can be relatively certain that their investment will remain at a certain price point. If you're thinking about investing in timber, you might be doing so because you're interested in increasing the diversification of your portfolio. As they say, you don't want to have all of your eggs in one basket. A smart way to reduce risk and lower financial vulnerability today as well as years from now is by investing in opportunities that won't be tied to a single country, a single currency or even a single government. That way, if any of those things falter, your investment can still be sound and be sold or valued in a different currency. Since timber is used around the world, its value is virtually universal. When searching for non-volatile opportunities, a great place to start is with areas of investment that have consistently stayed ahead of inflation. Don't just look back over the last five years, as that might not tell the whole story. Timber, thankfully, has stayed well ahead of inflation since 1987. In fact, timber has averaged 15 percent growth in that time period, far surpassing inflation in the United States. Thanks to a history of value that surpasses inflation, global flexibility, growing demand, limited supply and inherent practical value, timber can be a non-volatile and smart investment for anyone.